Have you ever been in a situation where you need to get in touch with your significant other, but there’s no cell service. Or traveling internationally and one or both of you don’t have an international plan? Have you had that moment of panic where you need to get in touch with your traveling partner but just can’t? If any of these have happened to you, or you can see how they could easily happen in the future, the goTenna is for you. 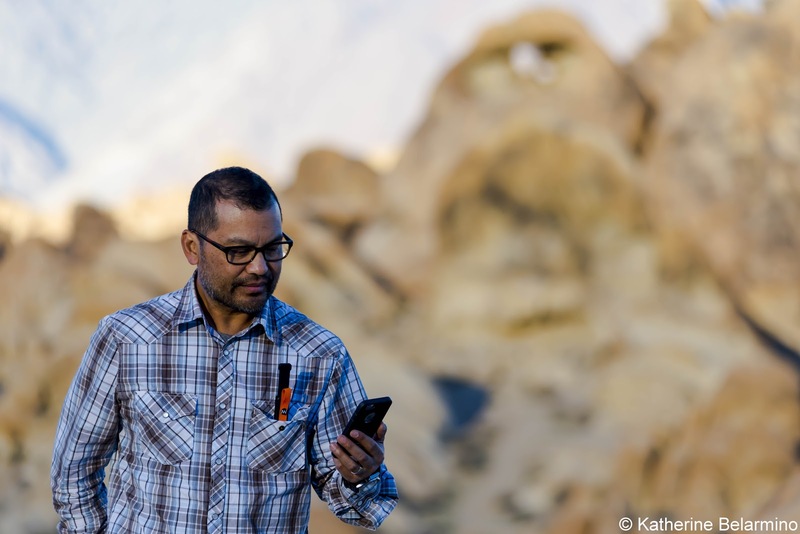 A pair of goTennas will allow you and your travel partner to stay in touch without the need for cell service or Wi-Fi. When Romeo and I travel, I pay for international service on my phone. I’m in charge of getting us from A to B with the use of maps. I’m in charge of checking emails for reservations and confirmations. There’s no reason for us to pay for two international plans. However, there are times when I really wish he had service on his phone because I’ve somehow misplaced him, I turn around and all of a sudden he’s nowhere to be seen (you wives know what I’m talking about). Once we were on vacation and we were getting onto the crowded metro. Since I’m in charge of navigation, Rome didn’t know at which stop we were getting off. Humanity streamed out of the metro and the next group of passengers pushed their way in against the flow, like salmon swimming upstream. I squeezed myself into a spot . . . and turned around in time to see the doors closing and Rome looking in from the opposite side of the window. Before the metro went whizzing off to the next station, I frantically gestured to Rome that he needed to get off in four stops, hoping against hope during the ride and while waiting at the destination station that he had understood. Luckily he had, but it would have been much more reassuring if I could have texted him the name of the station and received a response from him that he knew where to go. Just recently we were visiting the Christmas markets of Europe. Some of them, like the one in Nuremberg, are really crowded and it is easy to get separated. When we were wandering around one of Budapest’s Christmas markets, we were both taking pictures. I thought I was keeping track of his whereabouts when all of a sudden I turned around and he was nowhere to be seen. In those crowds, I was worried it would take forever to find him. We reconnected in about five minutes, but it was a nerve-wracking five minutes. Now that we have goTennas, we don’t have to worry about these kinds of things anymore. In fact, we can now even feel secure going our own ways for even longer, knowing that we’ll be able to find each other again by connecting via our cell phones using our goTennas. goTennas are digital radios that pair with smartphones via Bluetooth which allow you to communicate when there’s no cell coverage or WiFi. Messages can be sent to someone up to a mile away in urban situations and up to four miles away in outdoor terrains. We’ve been testing our goTennas and they’ve come in handy before we’ve even taken them international. 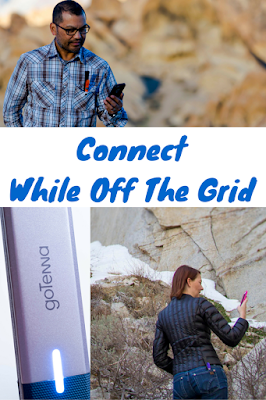 When I was reading about goTenna, one of the example uses was while hiking. I didn’t think that would apply to us as we always hike together. 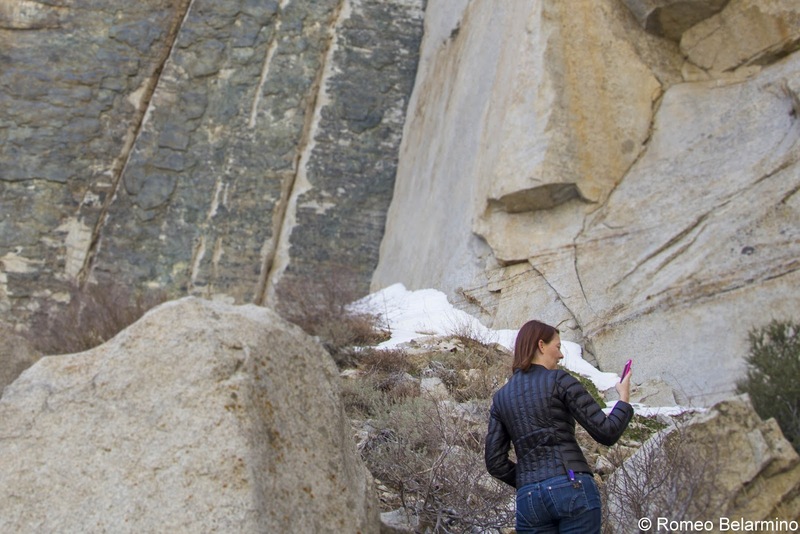 However, on a short hike during our trip to Bishop, California, the goTenna came in handy. Rome was taking photos with his new telephoto lens, so decided to stay put while I went hiking to see Mobius Arch in the Alabama Hills. I assumed he was going to eventually join me, but I didn’t want to wait a long time, not knowing whether or not he was. I took out my cell phone to text him and, sure enough, found I had no service. Luckily we had our goTennas with us so I was able to message him to see if he was joining me or not. He wasn’t, so I was glad I didn’t sit around waiting endlessly for no reason. Another awesome feature of goTenna that isn’t about communicating is its map function. goTenna offers maps for every state and every country (or a lot of countries, I didn’t really see if every single one is covered). Make sure you download the map before you travel. With the map downloaded, you won’t need to log on to Google maps to get around. On our recent Route 66 road trip we used Google maps for navigation. But there were a number of areas with no data reception, so our map wasn’t able to update to show us where we were and where we needed to go. All you need to use this feature is the appropriate downloaded map and the GPS of your phone, which works with no cell or data service. 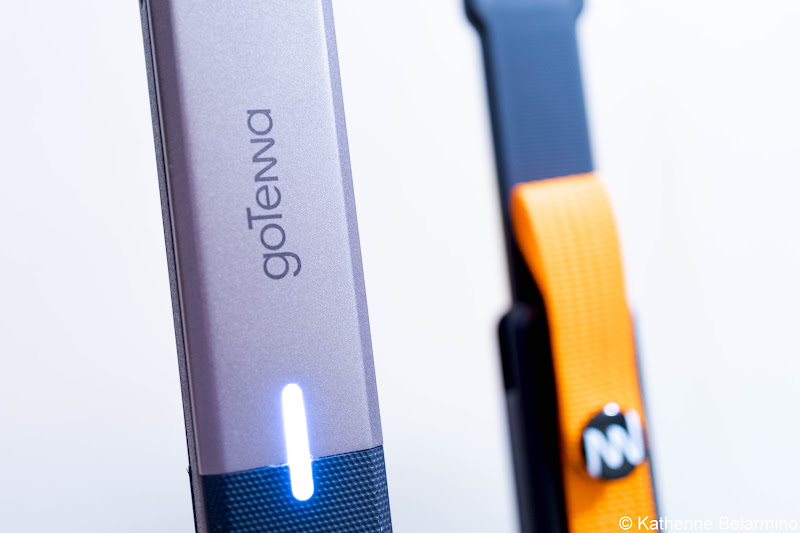 The goTenna doesn’t even have to be on. With the map feature, you can send your location to your travel partner. You can also send a request through the goTenna for your partner to send you their location. This function was able to send Romeo my exact location on the hiking trail! goTenna comes with a one-year guarantee, so it comes with a return FedEx shipping label in case something goes wrong during the one-year window. Sometimes, even when an item has a warranty, it can be a pain to figure out how to send the product back for service or replacement, so this was a pleasant surprise to see how easy goTenna is making it in case something does go wrong. We’re really excited to take our goTennas with us internationally. Even if we only use them a few times on each trip, it will provide one more bit of reassurance just in case we get separated. It will also allow us to be able to go our separate ways for a short time, knowing that we’ll easily be able to reconnect without data or cell service. I know one thing, we won’t be traveling without our goTennas from now on. 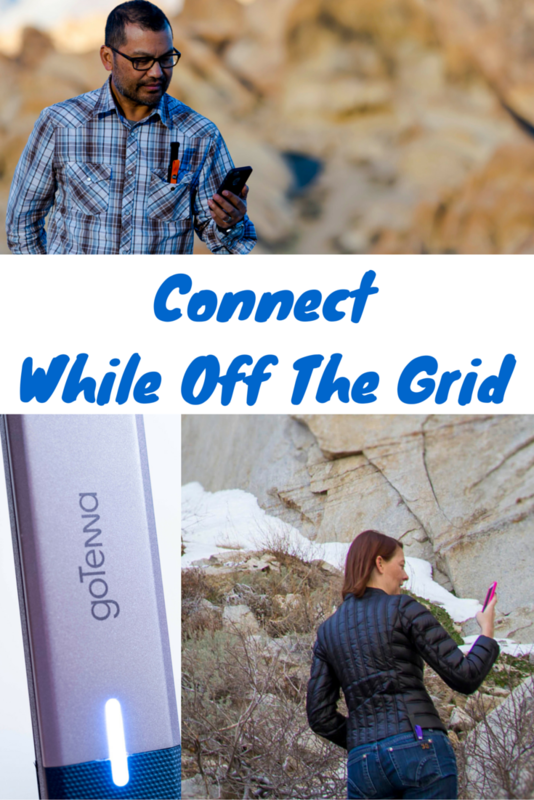 Thank you to goTenna for providing us with a pair of goTennas to use for our review and travels. As always, all opinions are my own.